I thought I would use this blog opportunity to write about one statement I hear discussed by many fellow Crohn’s patients. It is “I wish things could get back to the way they were (Pre-Crohn’s)”. This thought was also my own for many years and I expressed it regularly. However, over time, I learned to modify how I work with this thought and this has helped me handle the associated mental and emotional pain. The idea of “wanting things to get back to the way they were” is a very common statement I make to myself as I experience various losses in my life. This could be the loss of a loved one, the loss of a job, the loss of my youth, the loss of respect when I humiliate myself by doing something stupid, the loss of a relationship, and of course the loss of my health with Crohn’s disease. In all of these situations, I perceived that things were better before the event and worse after the event. Thus I wish things could go back to the way they were. However the reality is that in most cases, things have generally changed forever. There is no turning back the clock. This reality can set me off into a mental funk of depression, anger or fear. These irritating emotions further exacerbate my health and even if the situation has nothing to do with Crohn’s, my poor response to bad news creates more stress and makes my Crohn’s worse. So what do I do to handle this highly irritating thought or reality that “things have changed forever”. I first realize that change is a part of life. We all go through it and it is inevitable. Thus I am not being singled out as a victim due to change. In the case of Crohn’s, one can argue that I did not ask for it and it is not fair and thus I am a victim. My answer is that I did not ask for it but then many other people do not ask for diabetes, arthritis, depression, heart disease, bad menstrual cramps, or chronic pain. In fact most people have at least some part of their physical or mental health that gives them some grief. Thus I have learned to accept that I am not being singled out by having Crohn’s and life is not punishing me as it does not punish the millions of other people who have an ailment. This realization helps me to better accept the presence of Crohn’s in my life. I recognize that even if I am stuck with a difficult ailment, I can work on it. I can look at better medical options by pursuing new treatments, finding a new doctor, looking at new options for handling my mental consternation or taking up new mental programs that help relax and nourish me. I do not have to simply “take it” but instead I can work at my health and make it better. I have also learned there is more to being healthy then simply a healthy body. I know many angry and bitter people and I would not consider them to be healthy even though they have no physical issues. In the past I have equated change with disaster. This has not been true and it took me decades to figure this out. I felt that with Crohn’s my life was going to be minimized and full of unrelenting pain and struggles. However, I can speak from experience and say that my life has been full of great relationships, a nourishing career, many comforts of home, and a deeper appreciation of the gifts I have in my life. While I have learned to accommodate the Bully of Crohn’s disease, I have found many joyous and fulfilling events that have been meaningful. In fact, living with a nasty disease like Crohn’s has caused me to truly appreciate life’s gifts. I have taken stock and realized that even with Crohn’s disease; I have many strengths and skills to draw upon. I have built a good mind full of courage, stamina, joy, peace, and creative thought. I also have a good working heart, kidneys, lungs and brain. All of these are with me even after the diagnosis of Crohn’s and are areas of my life that I can build on and work with to express the life I want. I am much more than Crohn’s disease with an inflamed piece of bowel. Crohn’s is a part of me but does not define me. Crohn’s requires me to accommodate its bullying nature. When it screams and yells via its painful bowel expressions or bleeding, I need to pay attention and accommodate it while doing my best to help it heal. This is what I do on a stormy day as I come indoors and need to take some time and let the storm pass. While accommodating these challenging times may not be my heart’s desire, I can live with it. There are many difficult times in my life with both relationships and work that I would rather avoid but that is part of living. I can learn new skills to handle challenging life events and help ameliorate these challenging times. As I do this work, I realize there are many gifts in the garden of my life that nourish me and I can live with a few weeds. In the past, I have used these times of Crohn’s flare to yell and cuss my misfortune and this has never helped me. Instead it has only made me feel worse. My desire to hate this disease and fight it puts me on the defensive and creates even more internal turmoil. I have learned to treat Crohn’s as a wounded part of me and give it my kind, thoughtful, loving and nurturing attention. My bowel did not do anything wrong; it is just sick. It does not deserve my wrath and anger; it deserves my warm caring attitude. For in effect as I yell and curse the disease within me, I am cursing and yelling at a part of me. The net effect is I just feel worse. Thus I treat Crohn’s as I would a sick child that I Love and do all I can to help it heal. This type of relationship has helped me to better handle the ups and downs of the disease. I now see myself as a healer of my sick body versus a fighter of something within me that did nothing wrong. I wish “AGUYWITHCROHNS” and all others who read this the very best in the years ahead. I am confident and can speak from experience that while the future might be different then what you planned, life can be rich and rewarding. James book can be found here and I would recommend getting a copy. It is a great read. I recently finished reading The Foul Bowel: 101 Ways to Survive and Thrive with Crohn’s by John Bradley and I have to say, if you suffer from IBD, especially Crohn’s Disease, then you must read this book. First let me say that it took quite awhile to read this book but that is no reflection on the books part. I usually read my Kindle going to and from work and at night I wind down by watching TV. So I basically read this book in some spare time or before going to bed if nothing was on TV. So it was my own fault for taking a long time to read it. I actually thought this book was interesting. 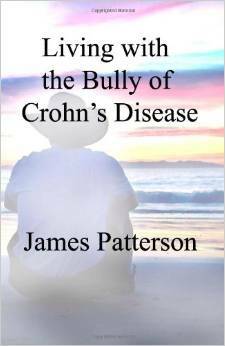 It is a recap of John’s journey with Crohn’s disease from his young adult life to the present. He talks about his numerous surgeries (13 of them) and how he deals with the disease in his life. He learned to tailor his lifestyle around his disease instead of letting his disease run his life. He stays upbeat throughout his struggles and always looks on bright side of life (couldn’t pass on the Monty Python reference since John is British). What really got me about John is that even when he was near death, he focused on the good things in life. John is inspirational to so many people. Even though throughout his life he suffers, he manages to hold a job, find love, and live his life. He deals with tons of incompetent doctors all the time and still doesn’t let that slow him down. Throughout the book John gives his words of wisdom…all 101 of them. They are his versions of how to deal and beat this disease. They are usually right on the money and I found myself thinking…why didn’t I think of that before. John also uses humor to liven up his story. Without it you would look at his life and cry for all his pain but he looks at his life and chooses to laugh. Laughter is a source of healing and it is no wonder why John has continued to beat this disease. 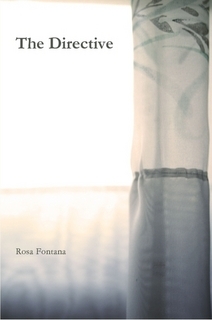 Check out the website , read the reviews, then order your copy. Then go to Twitter and let John know how much you loved the book.